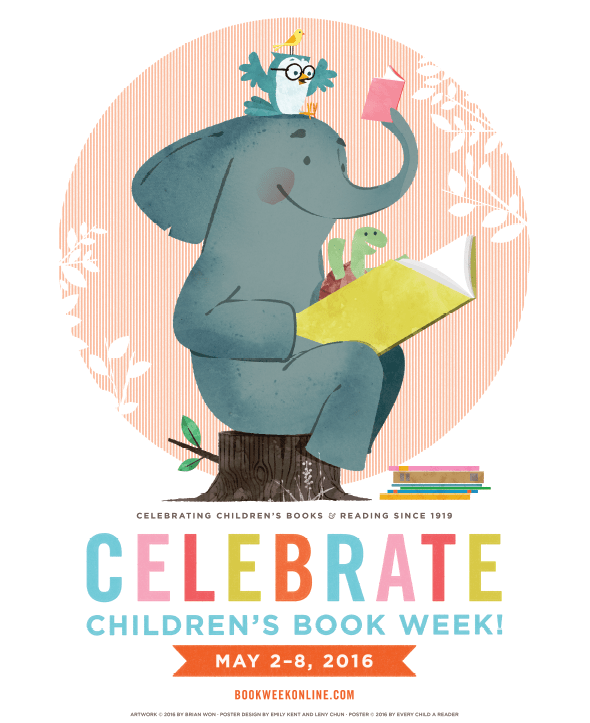 The 2016 Children’s Book Week poster was revealed today, created by the talented Brian Won, author/illustrator of Hooray for Hat. 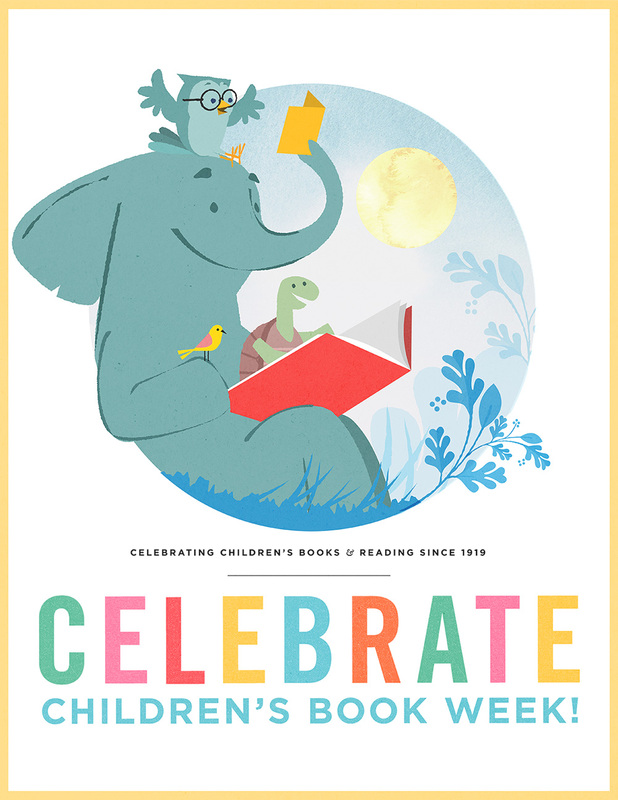 You can order your own FREE copy of this beautiful poster directly from the Children’s Book Council and Every Child Reader at no cost beyond shipping by clicking here. Brian’s no stranger to All The Wonders. 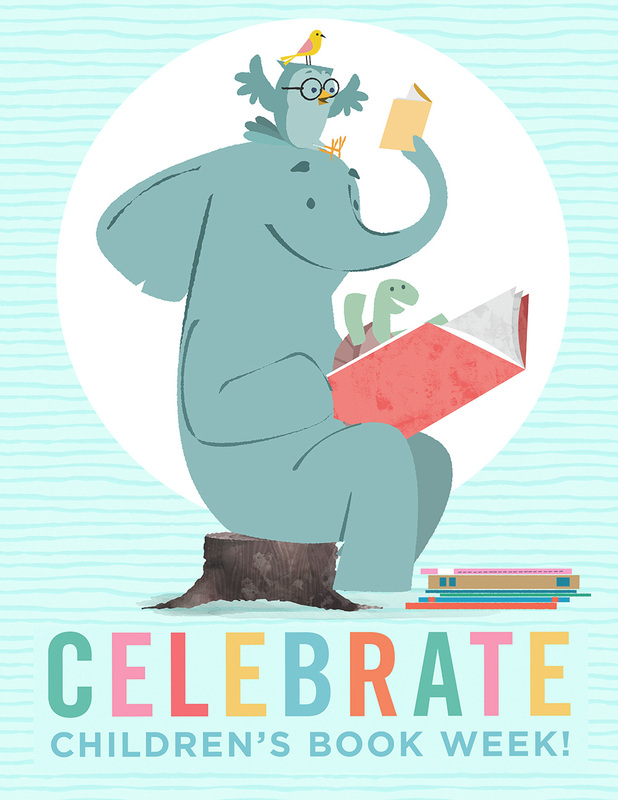 He designs our monthly “All The Wonders of” feature images and also created our logo and those adorable characters found at the top of the page that match each of our content themes. We’ll be exploring the finalists of the ninth annual Children’s Choice Book Awards as we approach Children’s Book Week in May, but today we thought we’d invite Brian to share a behind-the-scenes look at some of his initial poster designs as well as a glimpse at his process. Brian creates his art digitally. Over the following three stages in his illustration process you can see the characters take shape and come to life. Thanks for sharing with us, Brian! 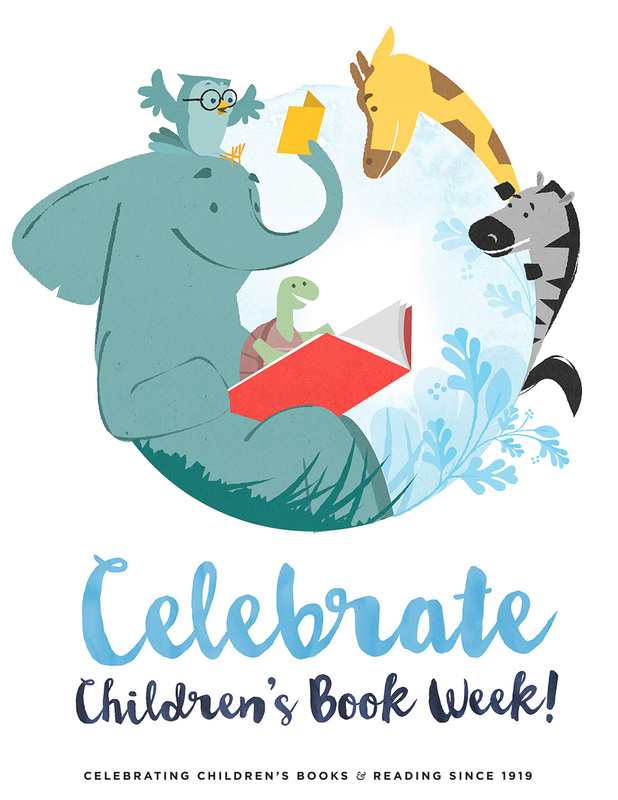 Learn more about how you can make Children’s Book Week a special celebration by visiting bookweekonline.com. 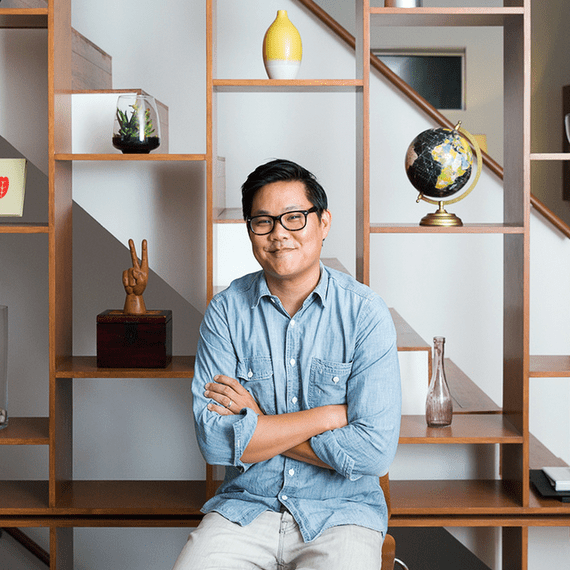 Brian Won wore many hats as a busboy, shoe salesman, library shelver, art director, and designer before making children’s books. 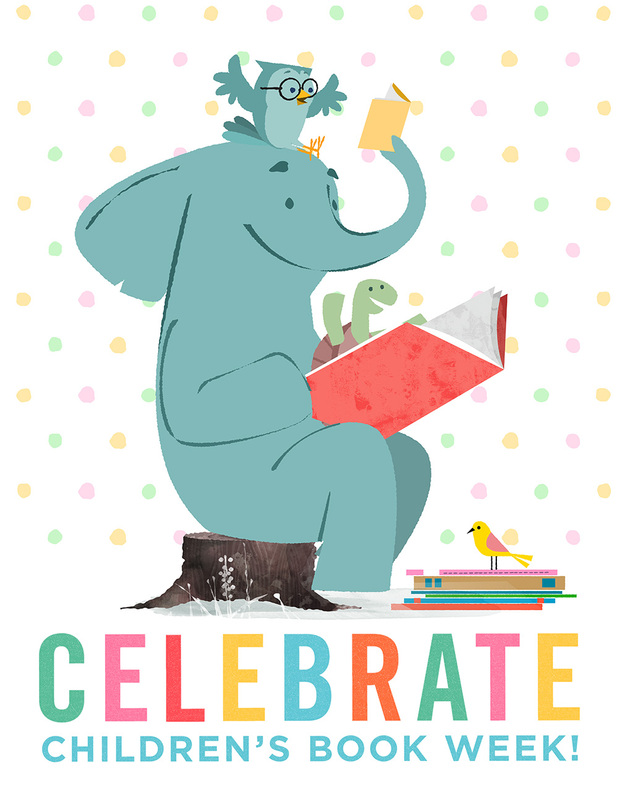 His debut book, Hooray for Hat!, was published by Houghton Mifflin Harcourt. 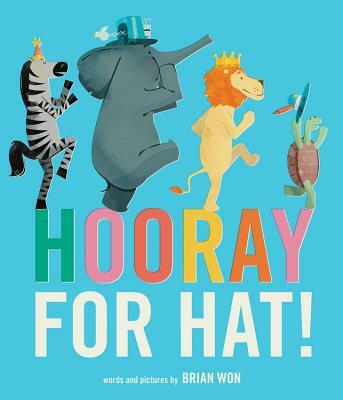 Hooray for Today!, the sequel to Hooray for Hat!, will be published in September. Visit Brian online at brianwon.com. Such a great poster–love it!! I love children’s lit and could not find anything out there so I started my own website about 2 months ago – InTheLemonTree.com. Today I discovered your site. I love it! Can’t wait to listen to the Podcast on my way to work today. So glad you discovered us, Jennifer! We look forward to checking out In The Lemon Tree. Happy listening to our podcasts as well!